Audrey Murphy talks to Newton Faulkner about his music career, new album, and ongoing tour. 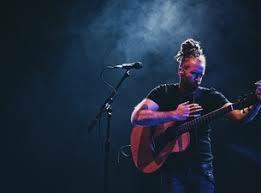 Newton Faulkner is an English singer-songwriter with a career spanning over ten years. He’s mostly known for his unique style of playing the acoustic guitar with lots of percussive elements. I caught up with Newton to discuss his growing success, unique styles and current tour. I decided to jump way back to 2007 and the start of his career. Newton’s first album ‘Hand Built by Robots’ soared to number one and gained double platinum status. But with its highly unique style at the time surely he expected some of this success. Being on the topic of Newton’s sound, I asked him about his unique percussive style. 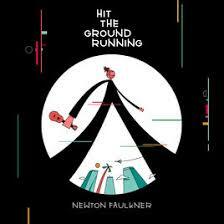 Many have tried to mimic it, but Newton Faulkner was the innovator. I asked him about the origin of this and if it was inspired by anyone or if it simply just developed. Other than his extremely unique and admired sound, Newton Faulkner gains a lot of attention from his highly unique music videos. The videos feature jigsaw pieces and Lego men to name but a few, but all have the common theme of just Newton himself with a guitar, although sometimes represented in cartoon or Lego form. I asked Newton if he designed these videos, but he replied that he stays out of all that and sticks to the music: “I’m very audio-centric and have very few visual ideas.” And of course, I had to ask about the video for ‘Get Free’ when the iconic dreadlocks were cut off. “One take and six hours of rehearsals” was his initial reply, but he went on to tell me that he’d planned to cut them off so thought he’d do something fun with it and cut them off in the most terrifying way possible! After discussing Newton’s rise to success – his ups, downs, his unique sound and videos – we finally spoke about his current tour and new album. The album is also available on vinyl, which many artists are opting for these days, but Newton had much to say on this topic. Before finishing up the interview I had to mention the little cartoon version of Newton, which is featuring in the new video and seems to be somewhat of a mascot for the new album and tour. Newton had some very interesting things to say about this little character. “For me it kind of represents a whole section of the live show, which is just me messing around. The playing and songwriting is always relatively serious, but the performing is an element of fun which is hard to do in photos so I think when we add this silly cartoon it kind of balances out and represents me as a whole.” Newton continued with this thought trail and went on to tell me about how artists are forgetting to have fun with their music, and people no longer improvise when performing live. He says it’s something that needs to come back to the industry.